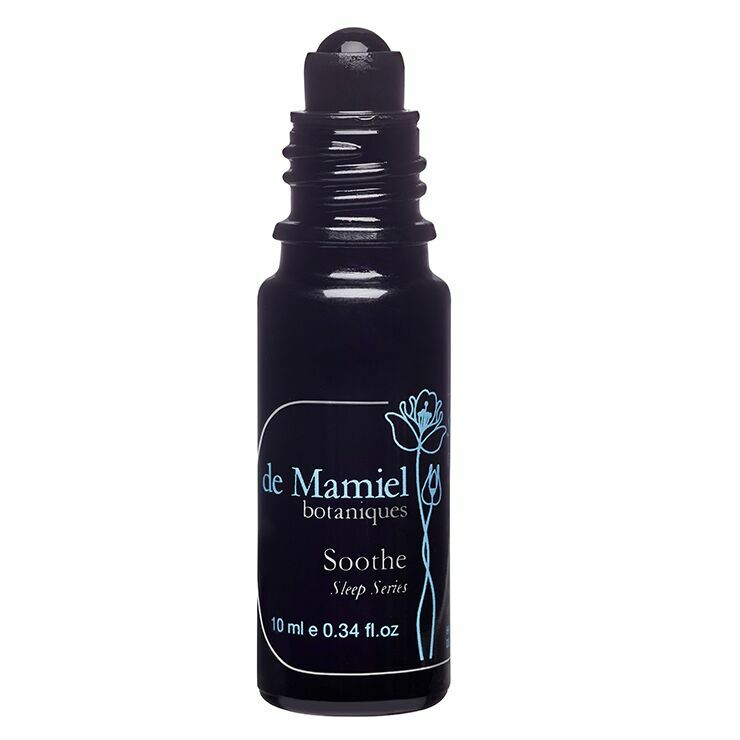 Ease feelings of anxiety that keep you up at night with de Mamiel Soothe. A base of passionflower and watermelon seed oils lends a sense of balance and calm to busy mind and churning stomach. Citrus oils curb feelings of daily stress that tend to interfere with quality sleep and ginger root offers a warm, comforting feel. This aromatic sleep oil blend eases feelings of worry and ungrounding, helping to set the stage for a proper night’s sleep. If busy mind and churning stomach keep you up at night, Soothe was designed for you. Formulated with carefully selected essential oils and botanical extracts to decrease feelings of worry and stress that keep you from drifting off. Before going to bed, apply a few drops of Soothe to palms of hands and gently rub together to warm and release the aroma. Place hands over nose and breathe deeply for at least three breaths to promote feelings of comforting calm. Dab the oil on wrists and stomach, and enjoy the scent as you drift off to dreamland. Please note: It is best to use the oil on a tissue, rather than applying to skin, during pregnancy. Always avoid contact with eyes and sensitive areas, never take internally, and keep out of reach of children.